You may be tempted to ignore hydro excavating, but doing so may be dangerous. We’ve got three reasons burying your head in the sand would be a bad idea. 1. Hydro Excavation is the only non-destructive method of digging, utilizing pressurized water and a vacuum system to quickly and safely expose underground infrastructure.Hidden beneath the surface lie a complex maze of facilities that carry petroleum products, electricity, water, wastewater, natural gas, and telecommunications. Not a single day passes without incidents that occur across the country that leave utilities damaged, property destroyed, and often, workers injured or worse. 2. OSHA has, of course, chimed in with their thoughts: Question: Section 1926.651 contains several requirements that relate to the safety of employees engaged in excavation work. Specifically, paragraphs (b)(2) and (b)(3) relate in part to the safety of the means used to locate underground utility installations that, if damaged during an uncovering operation, could pose serious hazards to employees. Under these provisions, what constitutes an acceptable method of uncovering underground utility lines, and further, would the use of hydro-vacuum excavation be acceptable under the standard? 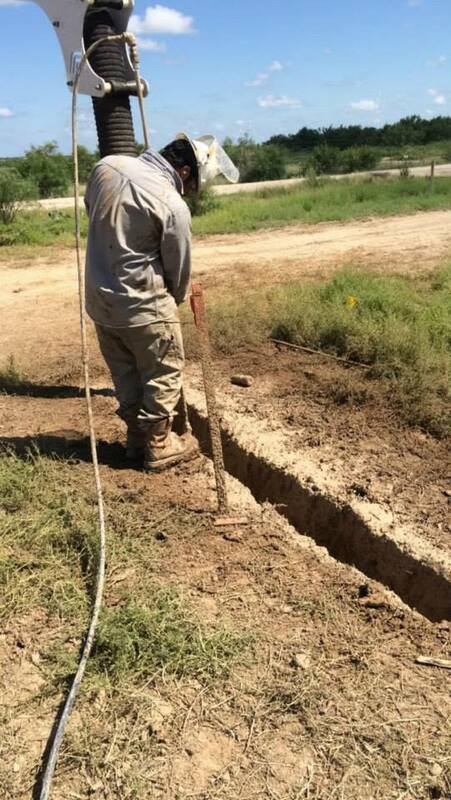 Answer; When utility companies or owners cannot respond to a request to locate underground utility installations within 24 hours, or cannot establish the exact location of these installations, the employer may proceed, provided the employer does so with caution, and provided detection equipment or other acceptable means to locate utility installations are used.Paragraph (b)(3) provides: When excavation operations approach the estimated location of underground installations, the exact location of the installations shall be determined by safe and acceptable means. Therefore, “acceptable means” must be used where the location of the underground utilities have not been identified by the utility companies and detection equipment is not used. It is our understanding that some hydro-vacuum excavation equipment can be adjusted to use a minimum amount of water and suction pressure. When appropriately adjusted so that the equipment will not damage underground utilities (especially utilities that are particularly vulnerable to damage, such as electrical lines), use of such equipment would be considered an “acceptable means” of locating underground utilities. See the entire Q&A here. 3. 4 Warriors Hydro Excavating is a Christian, family owned company, formed not only to make an impact on the industry but also to make an impact on people’s lives. The operators at 4 Warriors have advanced safety training that is required when asked to work refineries, substations, and even nuclear facilities. To talk more about this, or anything else, please contact us today.